The Lagos State Police Command has revealed that it will investigate the events that led to the death of one Kolade Johnson who was allegedly killed by an operative of the Gbagada division of its Special Anti Cultism Squad (SACS). Johnson, 36, was reportedly accidentally shot when police officers were trying to arrest another man because of his dreadlocks in the Mangoro area of Lagos State on Sunday, March 31, 2019. The spokesperson of the Lagos command, Bala Elkana, told Premium Times on Monday, April 1, that the incident will be "thoroughly investigated" and the findings made public. According to a witness who spoke to the News Agency of Nigeria (NAN), Johnson was one of the people who gathered to assure the officers of Folorunsho's innocence when they shot to disperse the crowd. These arrests grew more prominent when the state's former Police Commissioner, Edgal Imohimi, upped the ante on the fight against cultism in the state. Johnson's unfortunate killing on Sunday has led to a resurgence of the outrage against the Federal Special Anti-Robbery Squad (FSARS) who, although not responsible for the recent killing, have become the face of police brutality and impunity in the country due to past conducts. One of the biggest campaigners for police reform in the country, Segun Awosanya, took to his Twitter account (segalink) on Sunday to call on legislators to urgently pass a police reform bill for assent to prevent the death of more Nigerians. "We will implore the @SPNigeria @NGRSenate to prioritize the passing of the #NewPoliceActBill for the assent of the President. We can't continue to watch our young die while we pursue the cure to symptoms. We need this urgently. #ReformPoliceNG," he posted. 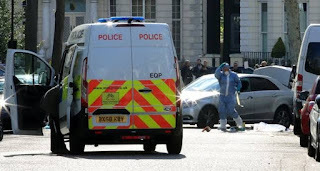 He also revealed that the Force Headquarters in Abuja has already expressed willingness to look into Johnson's killing.